Classes for 3-year-olds through adults are held Sunday morning at 9:30 a.m. (no Sunday School including and between Memorial Day and Labor Day). 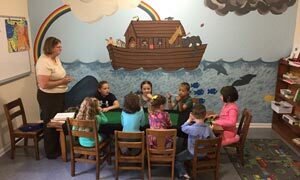 The children learn Bible truths through a Christian World View. We intentionally do not "moralize" but disciple our children to understand their need for a Savior, Jesus. The youth and adults hold discussion groups that include contemporary issues as they are related to Bible teaching. The children also enjoy participating in dramas that are presented to the congregation with songs, acting and costumes. Wednesday morning Bible study groups engage in more in-depth Bible study and discussion. Call for specific times and dates. During the season of Lent, special programs are held on Wednesday night to deepen our faith journey and prepare for the joy of Easter day. 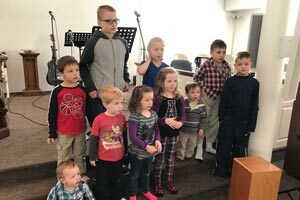 This ministry is comprised of volunteer singers with little or no previous musical experience as well as those who have a more extensive music education. The group of about 15 people sings a variety of music styles from classic to contemporary. 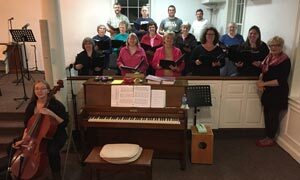 Singers of any age and ability are invited to attend rehearsals in the choir loft on Tuesday at 6:55 p.m. and sing with the group. All the music is enlarged for those with vision difficulties and the choir loft is wheelchair accessible. The church has a two-manual Allen organ console which is to the standards of The American Guild of Organists. This organ provides accompaniment for congregational singing and music for other parts of the worship service. In keeping with the historic nature of this church, the decorative parts of an old hand-pumped pipe organ provide, in the balcony, a façade for the main speaker of the electronic organ. 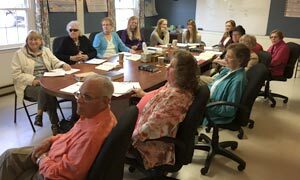 The Women’s Guild Ministry is a fellowship of church women who come together each month to work on missions, fundraisers, projects to improve our facilities and help those in need. We work together to honor God, and to grow in our faith and trust of Jesus through discipleship which includes a yearly retreat at a local retreat center. Our Women’s Guild Ministries invites women of all ages to join us as we serve our Lord together. Meetings are held on the third Thursday evening of the month except during the summer. 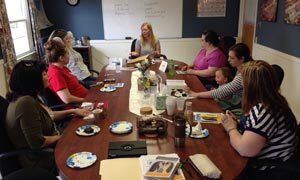 The 315 Mom’s group is place where moms get together to support one another as they seek to grow in their relationship with God and each other. create a welcoming environment for moms in our community and our congregation. create a safe place to share our joys and struggles and support one other through prayer and in practical ways. grow in our foundational relationship with God through His Word and prayer and therefore grow as women that love our families and others wisely and well. We do this by listening to DVDs or teachings about relevant topics and discussing them together. enjoy each other’s company as we make a craft or some social time together. These ministries promote participation in community and global outreach, both financially and spiritually.